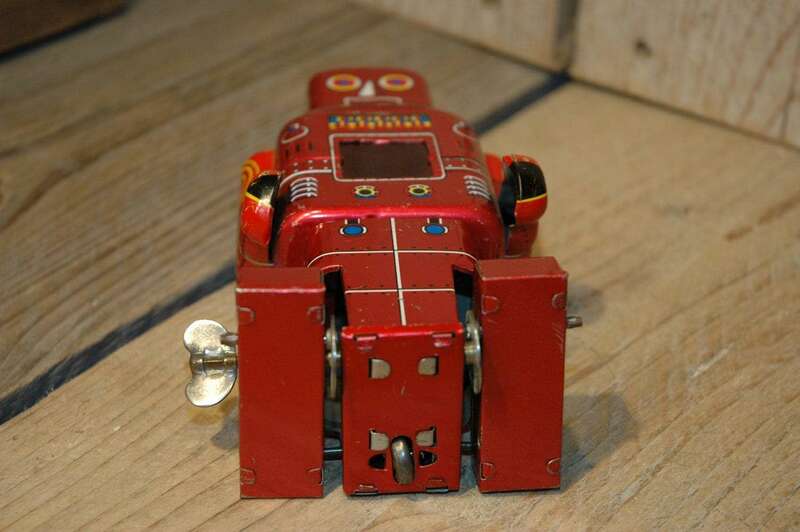 Yoneya SY – Mechanical Robot with Spark. 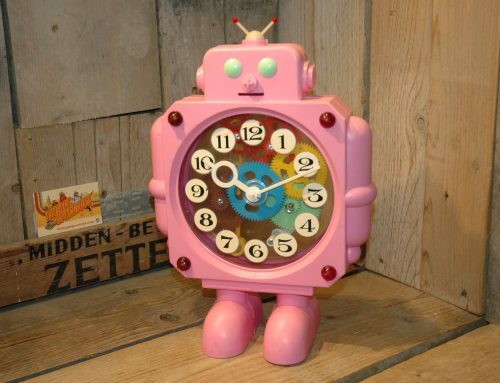 I can only remember seeing this color variation ONCE in auction, never saw it afterwards in the market…Make no mistake here, this robot was indeed made in pink AND in red, 2 different color variations 🙂 I dont have the pink one to compare but they are really totally different in color. 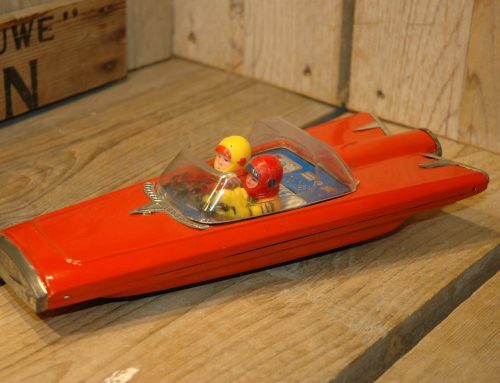 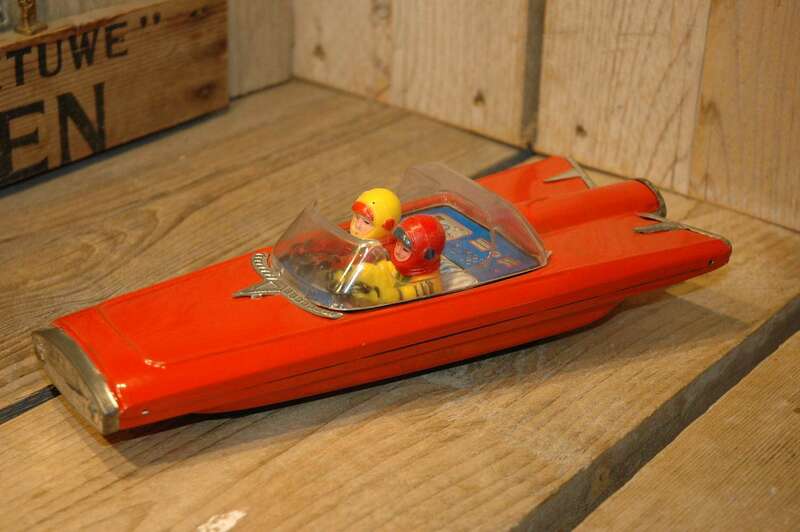 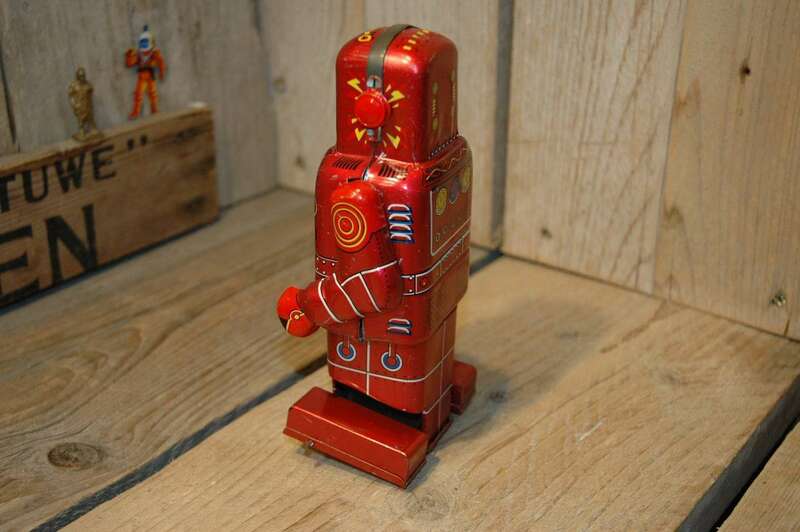 Made in Japan somewhere in the early sixties by SY ( Yoneya ) in Japan. 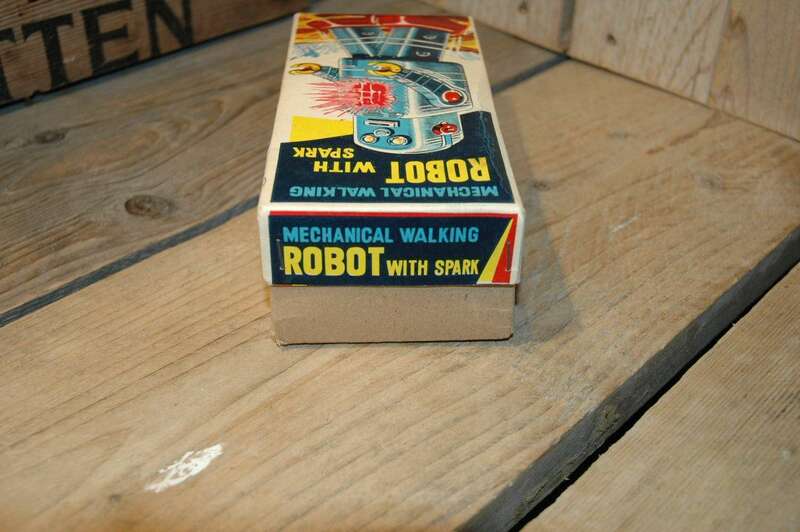 THe robot is made out of lithographed tin with a clockwork mechanism that allows this robot to “roll” forward with so called paddle feet. 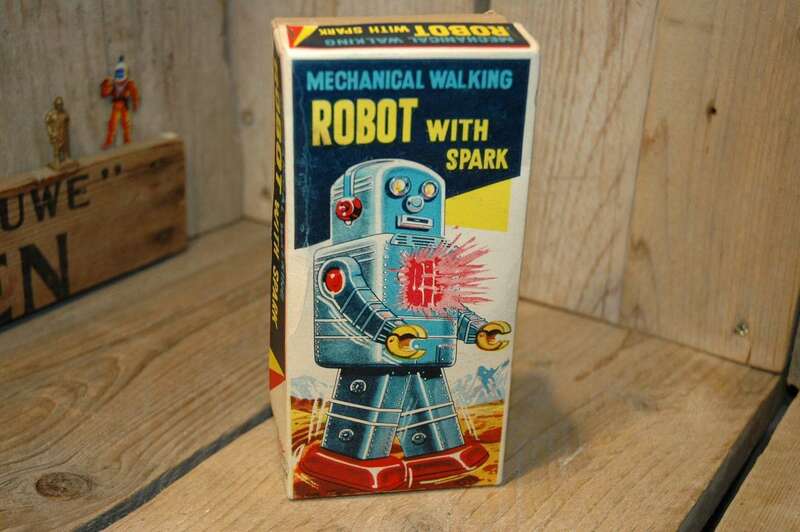 In his chest there is sparking action. 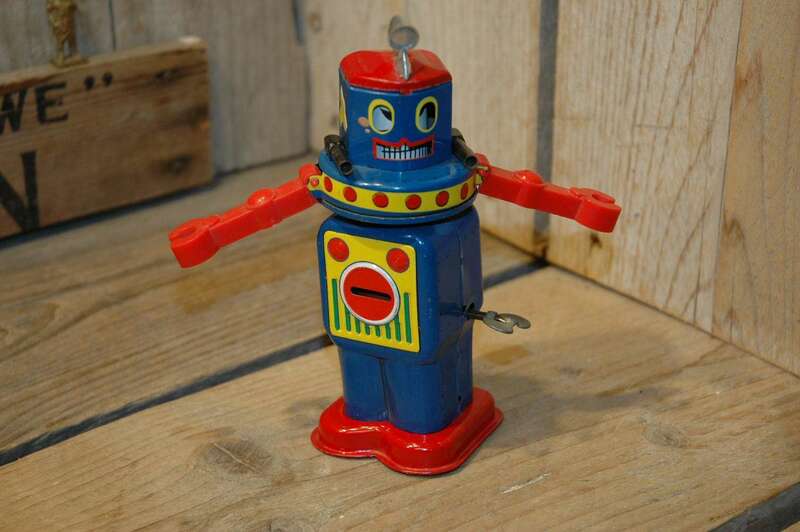 The condition of this robot is excellent to near mint and besides some light playwear ( read some light scratches ) there is not much to tell about this robot. 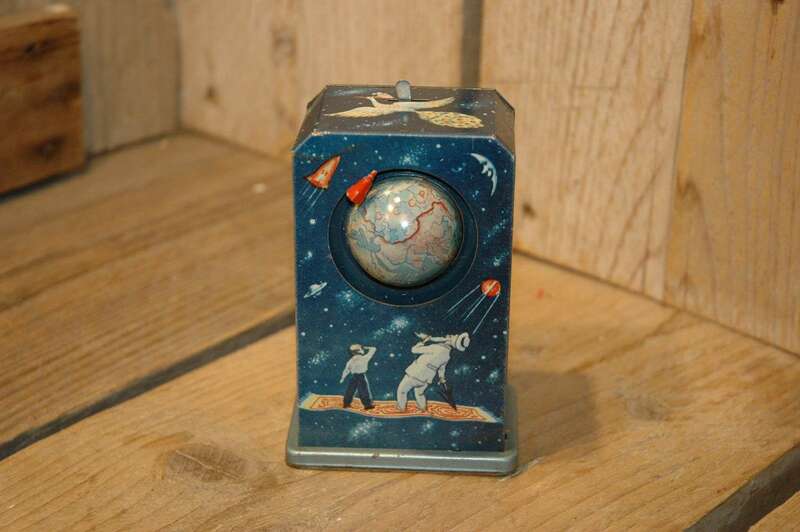 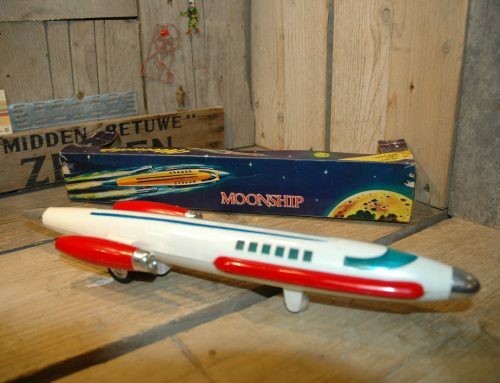 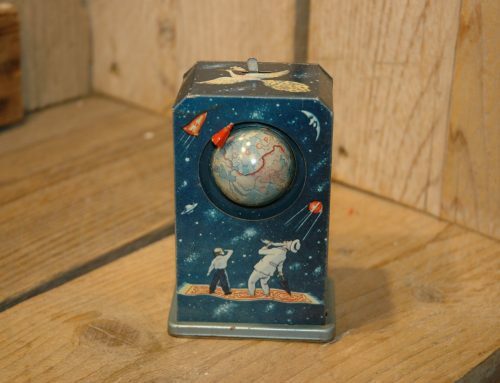 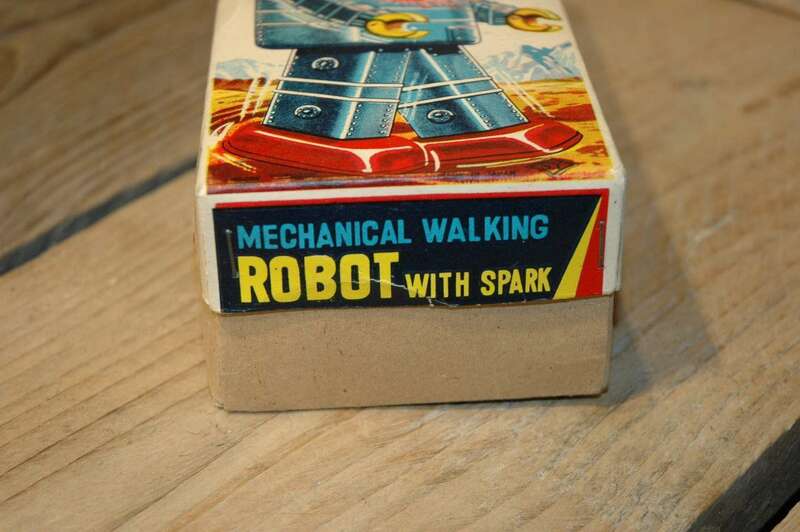 Its in absolute stunning condition, works fine and strong and even produces some sparks. 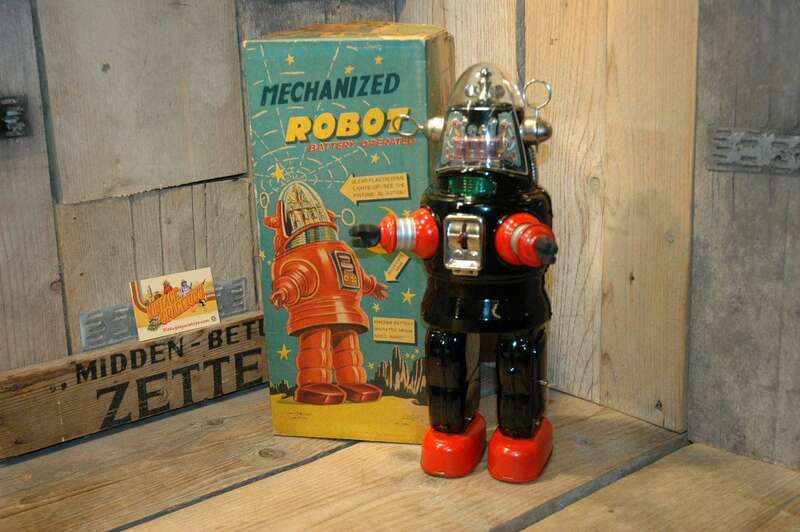 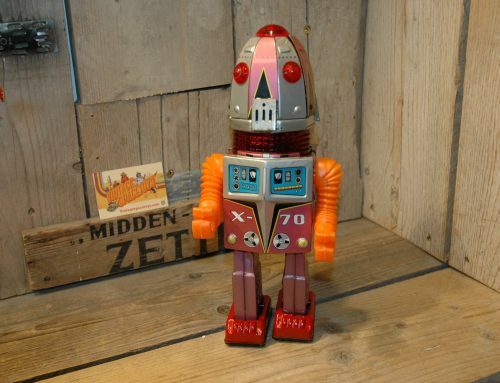 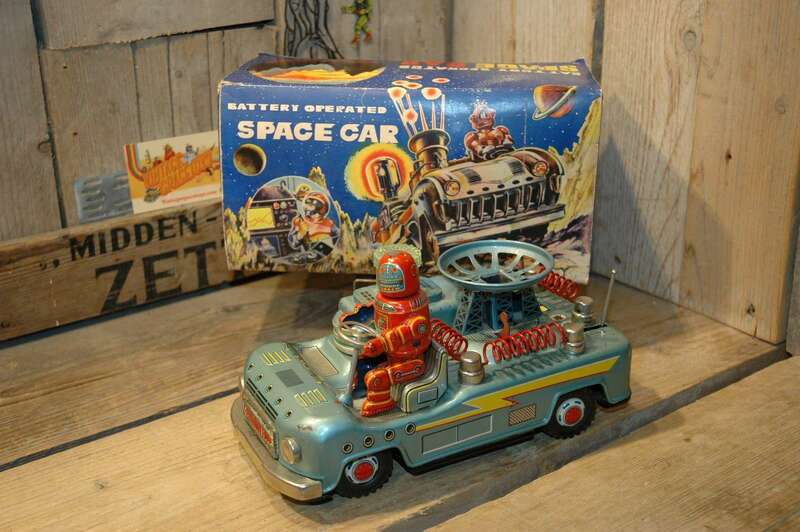 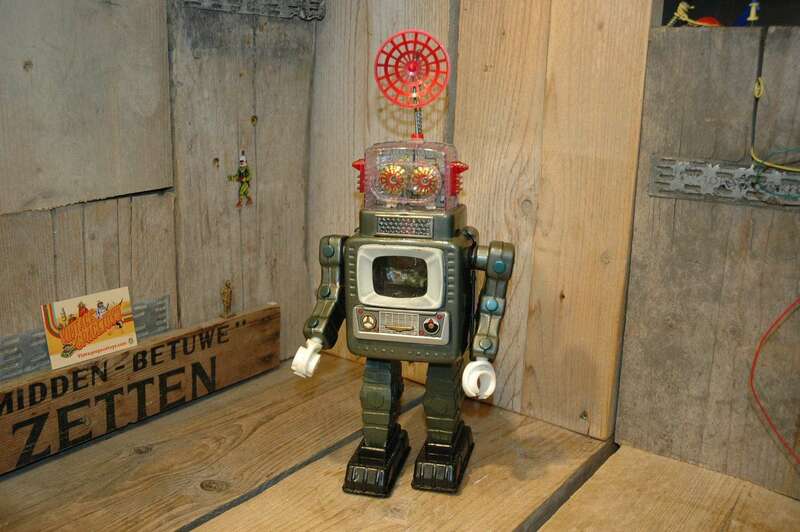 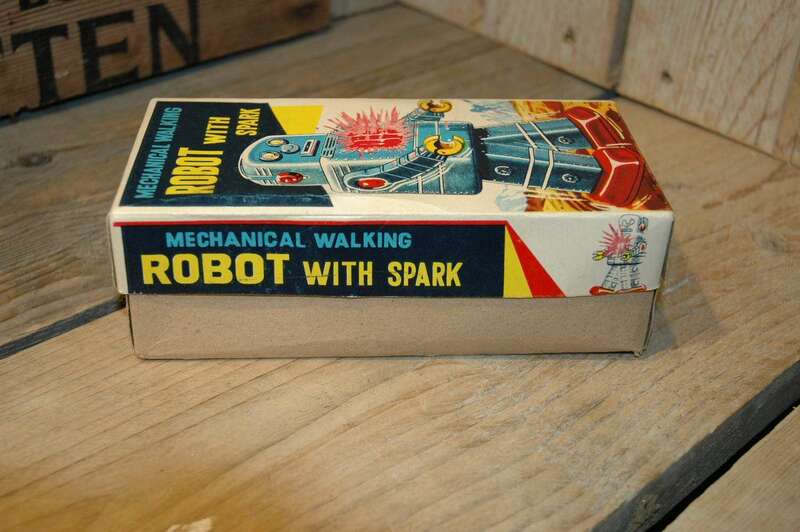 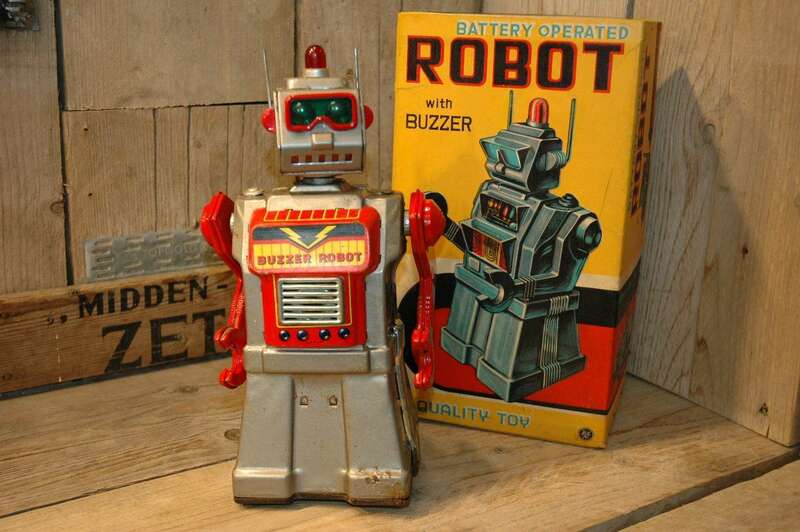 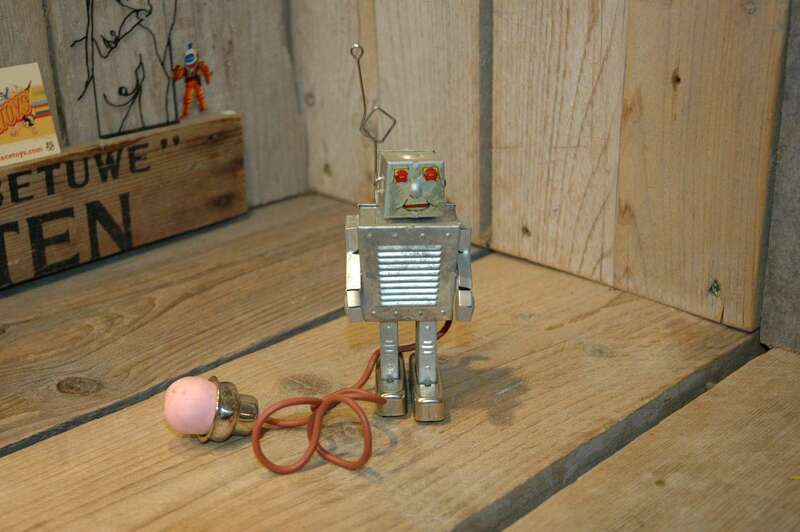 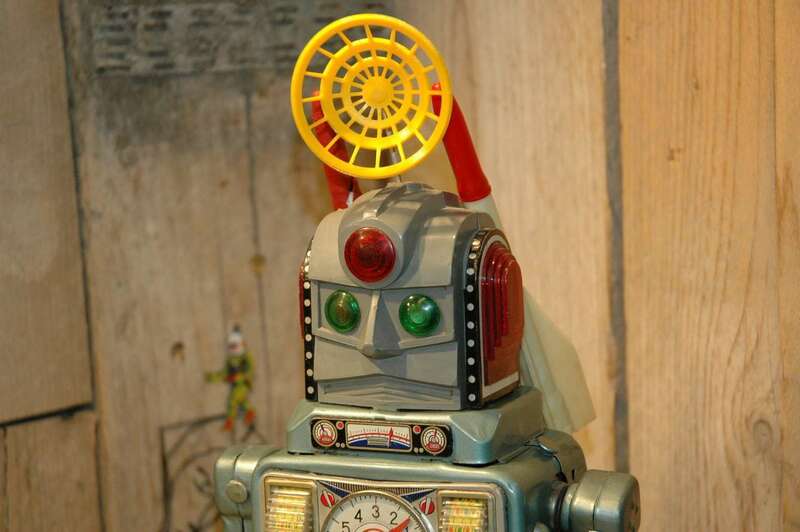 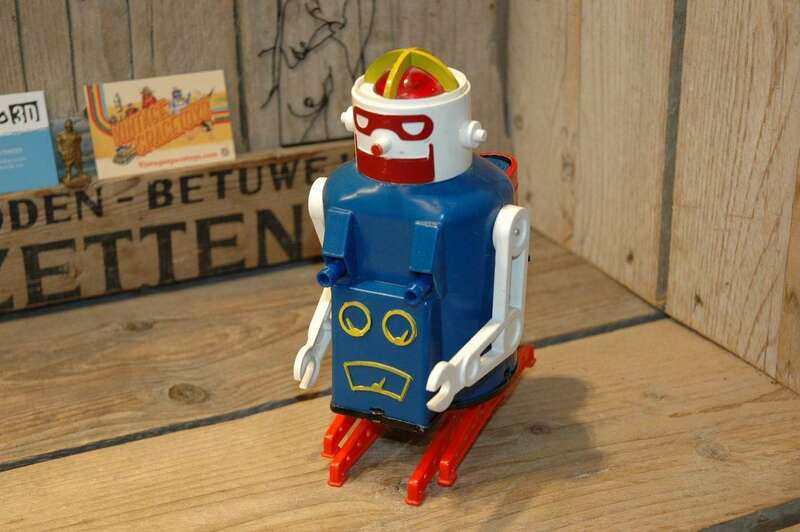 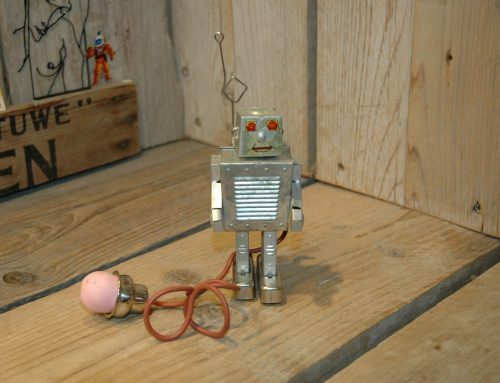 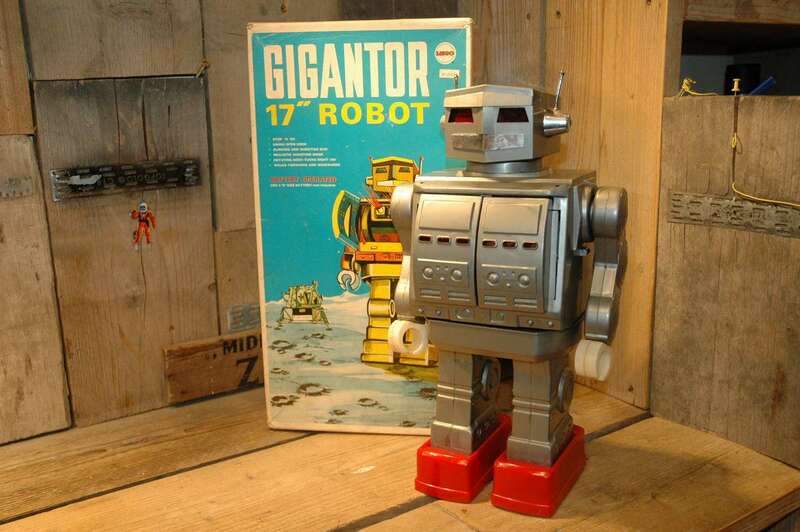 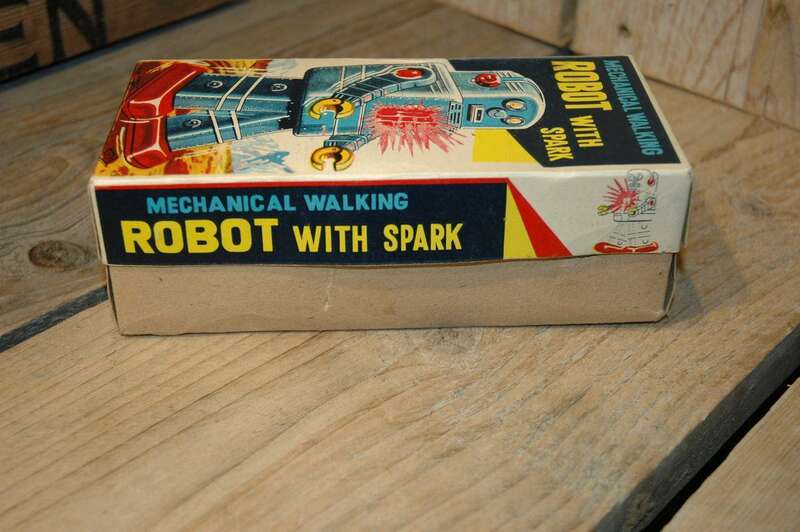 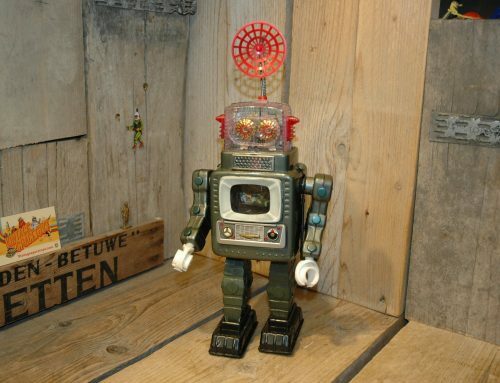 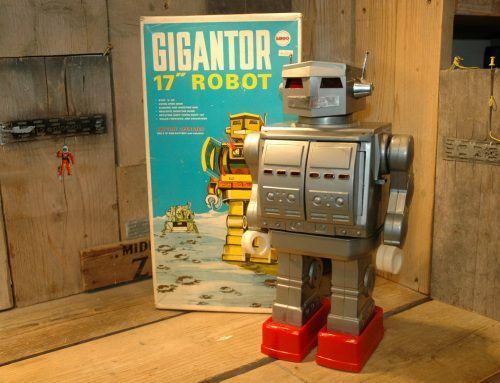 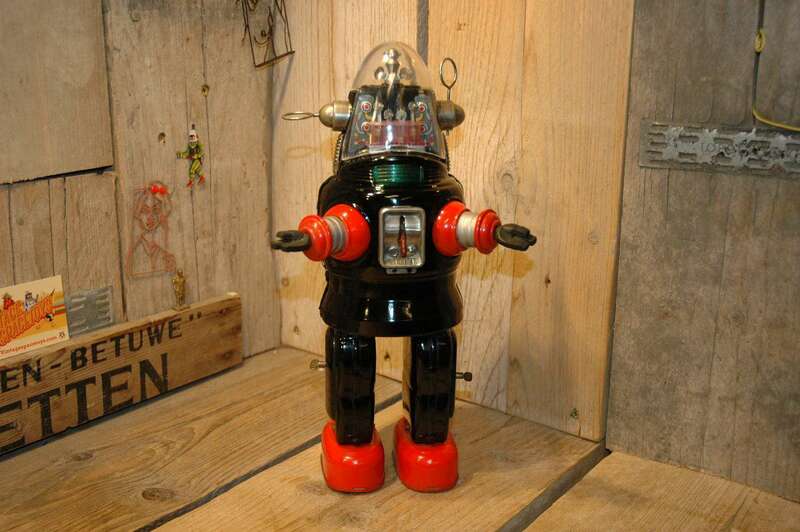 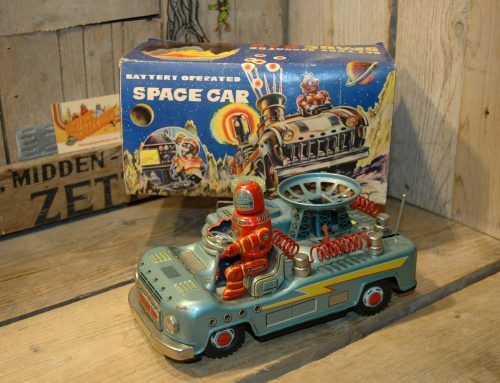 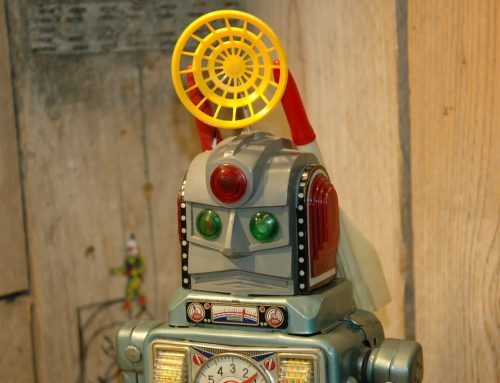 All original and complete robot that comes with original box in excellent condition as well. 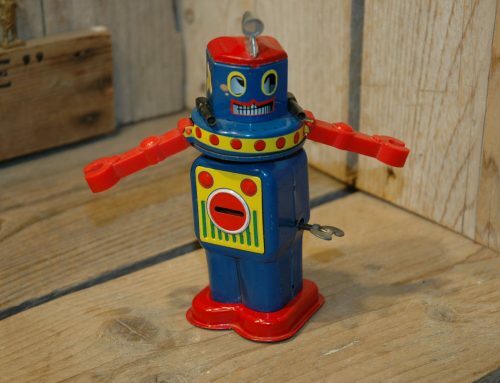 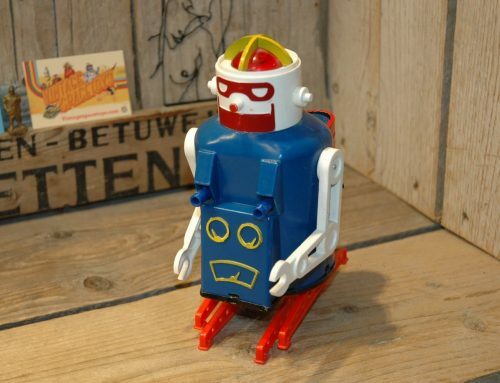 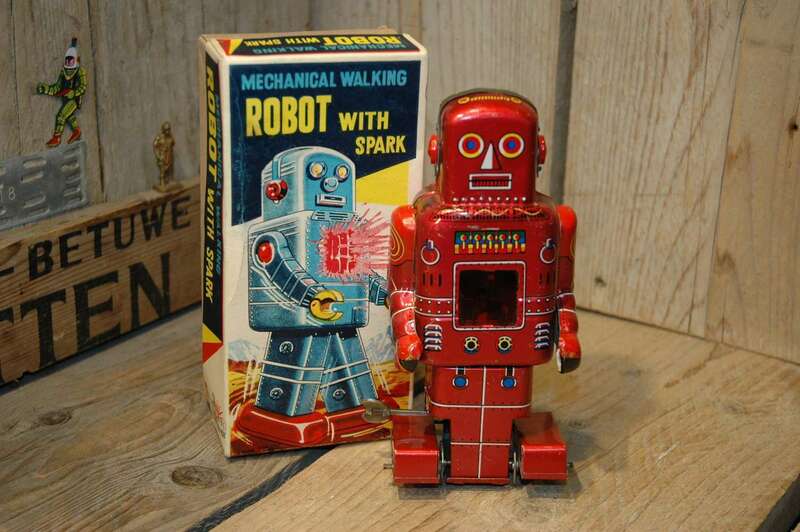 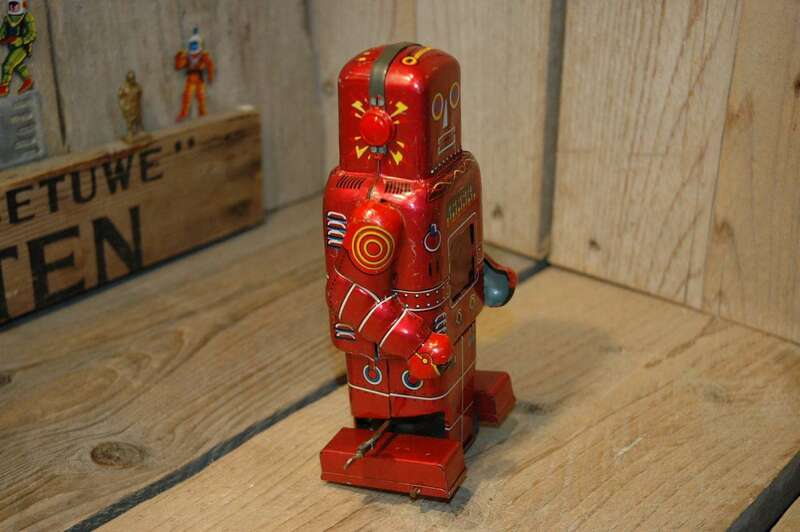 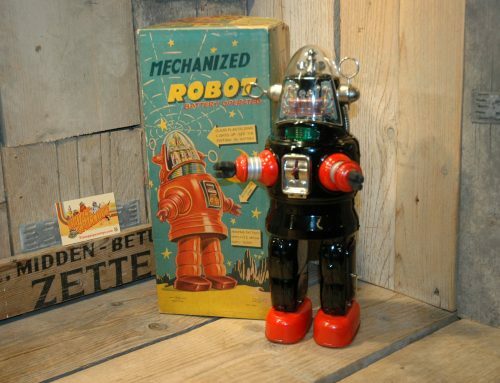 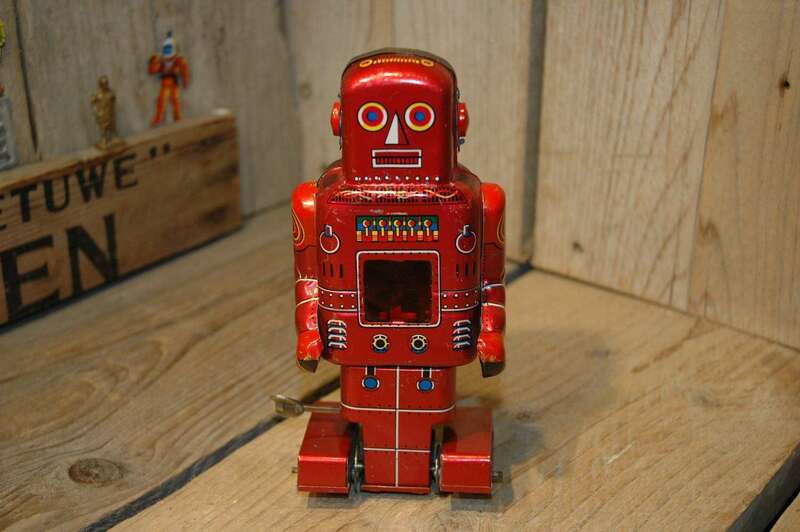 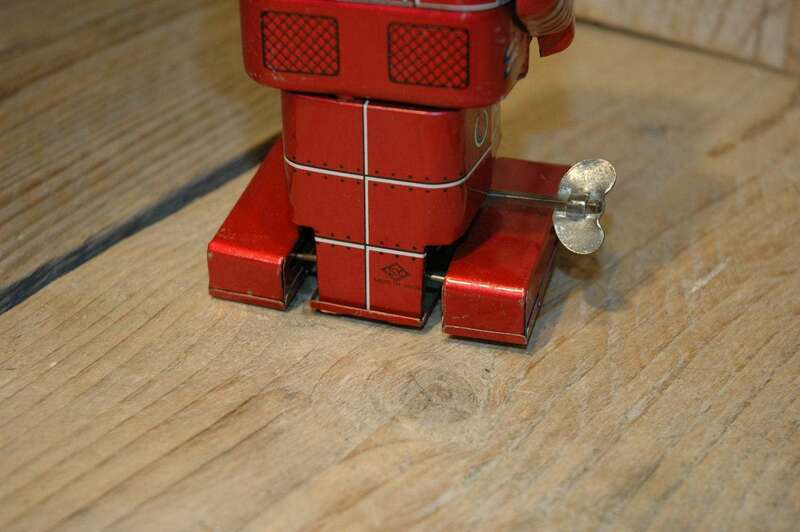 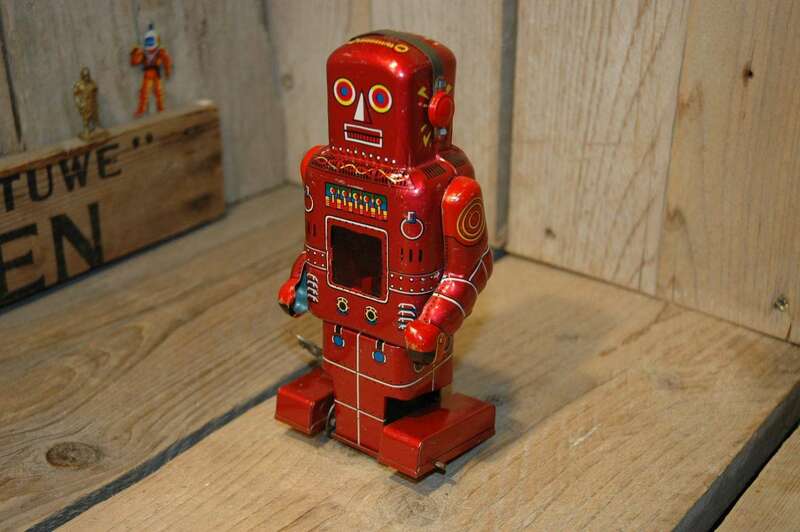 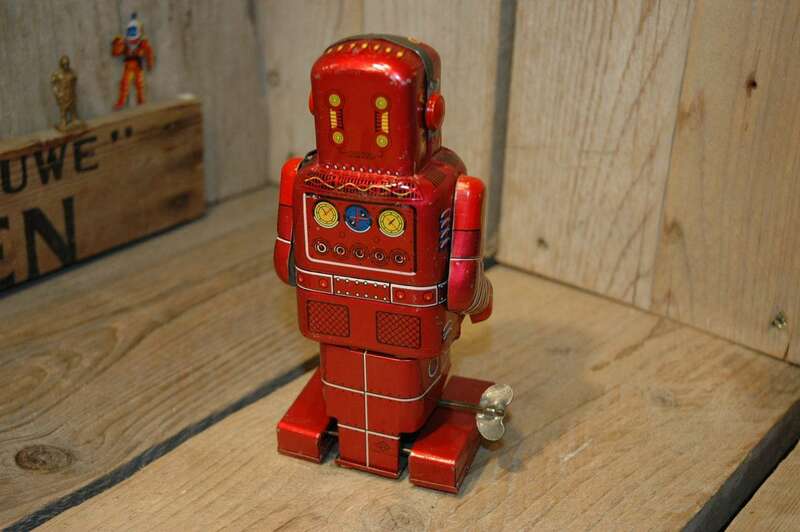 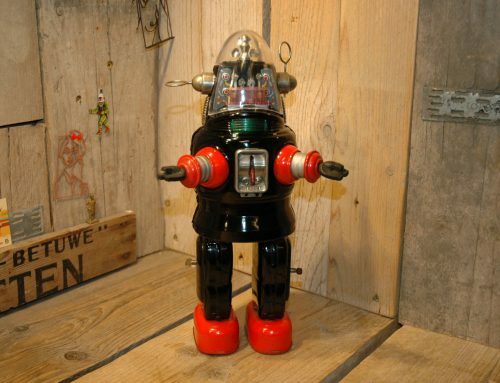 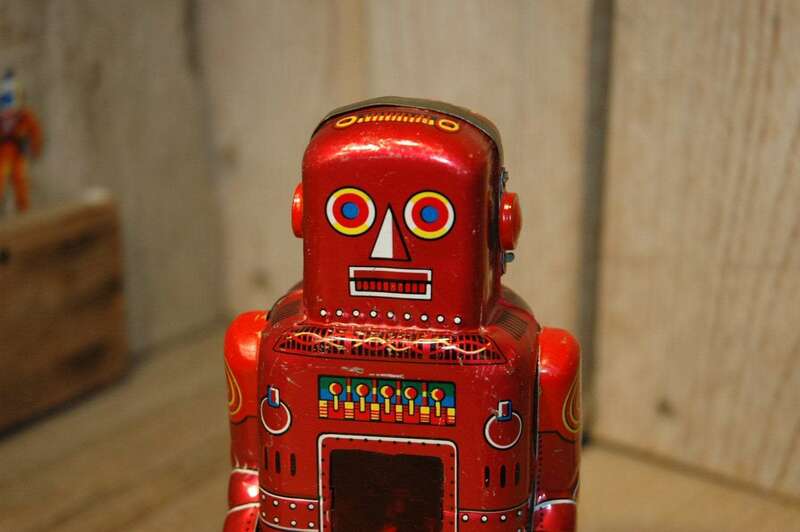 Missing in most robot collections.. extremely rare and scarce robot in this red color !